Roar, roar, roar some more. Feeling like maybe you just need a little umph to get those roars out? Well, we've got just the thing for that. This Dinosaur Yumio! Yep, chances are you've encountered plenty of things that make you want to roar. But, you've probably never felt like a dinosaur rumbling through a prehistoric jungle. No sweat, we can get you suited up for that. Let's team up and bring a dinosaur back to life! This adult Dinosaur Yumio will have you ready for fun. 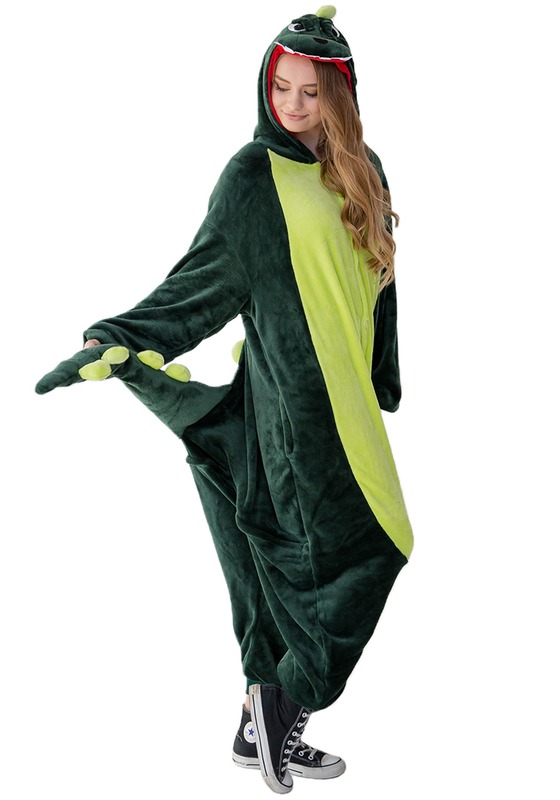 A pajama onesie, it works equally great as a costume and for lounging around. Actually, it's so much fun, you're probably going to want to wear it basically all the time. We think there's a lot of daily events that would be much more fun if a dinosaur showed up! This Yumio pajama set comes from the I Love Yumio company. It's made with 100% polyester, and the super soft plush is incredibly cozy. A button up front makes for easy on and off, and dino details really seal the deal. Embroidered eyes, nose, and teeth and a signature touch on the hoode, and it has plush spikes and a tail attached on the back. This Yumio is sized to fit most people between five and six feet tall, up to 240 pounds. A Yumio makes for a fantastic costume, and we have all kinds of animals and styles to choose from. 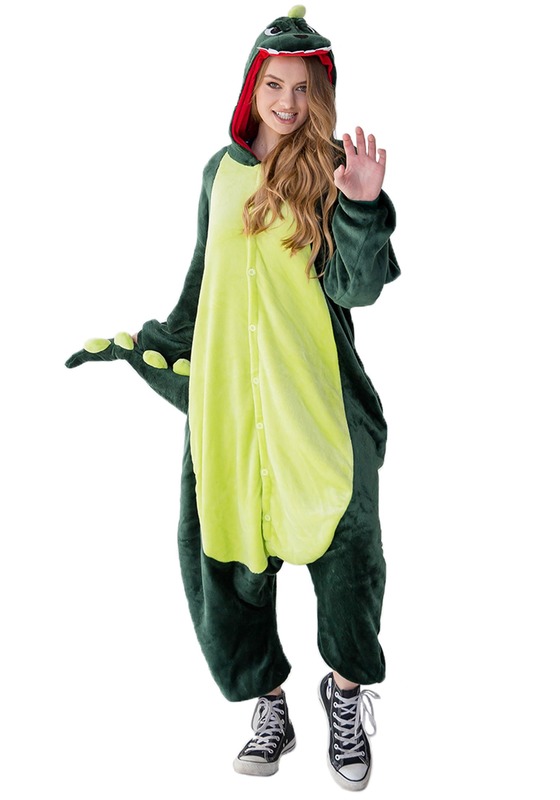 Check out all of our costume pajamas to add a comfy and cozy selection to your dress up fun!